Cotton Court Business Centre > Latest News > Business > How To Beat Procrastination In The Workplace! 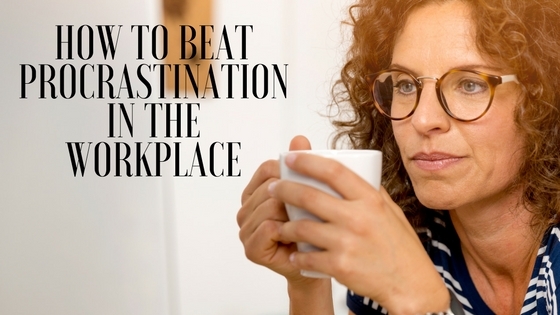 How To Beat Procrastination In The Workplace! September 6, 2017 By Grace Bennett Comments Off on How To Beat Procrastination In The Workplace! Most people have a natural inclination to push aside tasks which they could be completing now, for later. It makes complete sense to do this if they are currently heavily involved in an equally important task, or just physically can’t complete two task at the same time. However, most of the time, people procrastinate because they just don’t feel like completing a certain task right now. It’s so easy to fall into the push-and-pull trap of “Should I do this now or can I just do it later?” — particularly in the workplace. You see workers spending so much time in the communal kitchen drinking coffee and gossiping, or outside smoking, but that’s not a problem as they still get their tasks done. They hustle during the last hour of the working day and finish off the job – no problem. The problem is, that’s really all they’re doing – managing. They’re not working with intent or to their highest standards. Therefore, the output is often mediocre at best. Procrastination appears to be the plague of this generation, and unfortunately, people have begun taking pride in it because they do not fully grasp the consequences of this habit. A study of 10,000 employees polled in the United States revealed that the average worker admitted to wasting 2.09 hours each day on non-job-related activities. It’s not just time that’s lost when people procrastinate – they could be missing out on the opportunities that present themselves when the to-do list has been completed for the day. Likewise, procrastination leads to frustration or discouragement due to unmet goals, diminished confidence, ruined reputation, and unnecessary stress. The self-employed, and business owners will often find themselves working last minute, late at night to meet a deadline because they procrastinated throughout the day – not a healthy approach to achieving the desired work-life balance. Beating procrastination is a must, especially in the workplace, because the success of a company could depend on it. Workers doing what they should, when they should do them, ensures productivity that will allow deadlines and other requirements to be met more easily. So, what can be done to beat procrastination? We asked this question to some of Lancashire’s leading business people, to find out how they ensure they stay productive. I can procrastinate and drift without meaningful achievement. The secret to avoiding this is focus and routine. As a financial adviser I need to service existing clients, attract new ones and preserve my reputation and that of the business. For this reason I follow a pattern when I get into the office. I view the BBC financial pages to see if there anything useful I can share or blog about. Then head to LinkedIn to respond to any new connection requests. Thereafter, check if there is anything in the timeline that is worthy of like/comment/share. I aim to limit this to 15 minutes maximum. Then to Twitter for 10 minutes at most for anything worthy of share/like/comment from both my individual and the firm’s accounts. After this I progress to email, deleting anything I don’t need to read. Thereafter the day is mine and although not especially disciplined I am able to hop between tasks with a flexible to-do list. I find that there are too many variables in the day to set fixed blocks in the diary, but will aim to achieve everything I need to in the day or move it forward. Cotton Court is a busy environment so sometimes it can be easy to get distracted from completing bigger tasks that require a higher level of concentration and commitment. As a team, we set monthly, weekly and daily goals with deadlines. Writing down the task helps you get focussed! The larger projects we breakdown into bitesize pieces and have a weekly meeting where we discuss progress and set targets based on this progress. Discussing our individual progress at these meetings is a great way to keep us accountable for our plans. We also work to the motto of never putting off what you can do today! This is very true in the world of software development. We work on projects of work, and it is a mistaken belief that you are controlling something by saying you will deal with it later. When later arrives, the issue will often start to control you. Especially if not dealt with immediately. It finds the path of least resistance and becomes a louder and louder force in your world, to the point that it ends up distracting you from all else in the day. It’s like that ringing telephone that just won’t stop. To avoid this, we use a triage approach. When an issue lands in our world, we ask someone to assess the issue immediately. This provides a high-level view on what is required and whether it is possible deal with it now or delegate it on. Triage is an approach used in many sectors for filtering issues as they land, so that they are dealt with in an efficient and effective way. Be Honest! Ask yourself Why you are Procrastinating? Often we start to put things off, as it may seem the task in hand is too big or involve too much time or resource… imagine what it would feel like if you managed it. What would be like? Oh yeah – now we talking! START with the Easy – Simple! Starting may seem hard, commit to starting by making the intention to start, this will engage your brain for starters. Start with the easiest task first, no matter how small, it will give you momentum and quick results. Relax! – Go Easy, pressuring yourself into tight deadlines and unrealistic expectations will cause you to stress and avoid what you want to do. Instead, take your time and give yourself a little reward for each bit you will get done. Chocolate is optional! The Power of WHY? Give yourself a Mega reason on why doing something you have previously been putting off will actually do for you? Think of all the benefits and positive outcomes, after that Why would you want to leave it any longer – Let’s Go! The Perfectionist – Just be YOU! – Thinking something has to be perfect has led many to take no action and this can also be linked to fear of failure. Don’t be too harsh on yourself, and stop comparing yourself to others. Instead, start to recognise your own talents, creativity and uniqueness. The best piece of advice I have been given is be ruthless with time and gracious with people. It is easy to believe that we use our time in the best possible way, and blame external factors for any problems we may have. This just isn’t true, we are not powerless and we can exert control over circumstances. To do so, we must recognise that we need to change and that we are able to influence the situations that we find ourselves in. Results come from doing the right thing at the right time – not just by doing things in the right way. So whilst it is important to have a plan to ensure focus, we need to be flexible and be comfortable with changing priorities instead of getting stressed, especially if our job depends on being reactive as well as pro-active. On my white board I have a question (taken from Stephen Covey’s The 7 Habits of Highly Effective People)..
• What do I need to do more of? • What do I need to do less of? • What do I need to start doing? • What do I need to stop doing? As you can see, I talk to myself a lot! Speaking to other business professionals about how they deal with common business issues is a great way to ensure you don’t feel alone. Learning from their experiences allows you to take the best advice from multiple individuals and find a solution that works for you. To summarise, here are the top 5 ways to beat procrastination. Providing words of encouragement helps, but if you really want to drive those around you to take care of their tasks and do so really well, incentives and rewards programmes will do wonders. There’s nothing like a nice “treat” to inspire workers to yield their best work. The same can be applied to yourself, treat yourself to an end of week shopping trip or visit to the spa. This will keep everybody on track with what needs to be done. It will also allow you to organise your time efficiently in order to finish all of the tasks on your list. 3. Make the consequences of procrastination known. It’s imperative that all the members of the organisation understand that there are negative effects to the habit and that these can impact life beyond the workplace. 4. Break difficult assignments down into short tasks. Most people tend to let the feeling of being overwhelmed prevent them from moving forward, and big assignments truly can be overwhelming. However, breaking them down into bite-sized pieces can make it less intimidating. Also, when one’s able to complete, one small task, it provides a feeling of accomplishment and confidence to move on to the next task. 5. Implement strategies for efficiency. There’s an abundance of strategies to beat procrastination such as ridding a workplace of distractions so everyone can work effectively and efficiently, setting up rules to prevent people from doing unnecessary things longer than they should, using technology to track workers’ progress with tasks, and many others. Procrastination does not only derail progress; it completely prevents success. So, create your own working style wherein there’s very little room to deviate from the smart order of things, but a little wiggle room if needed. This is the best solution against the frustrating habit of putting things off for later in the workplace. What would your anti-procrastination tips be?